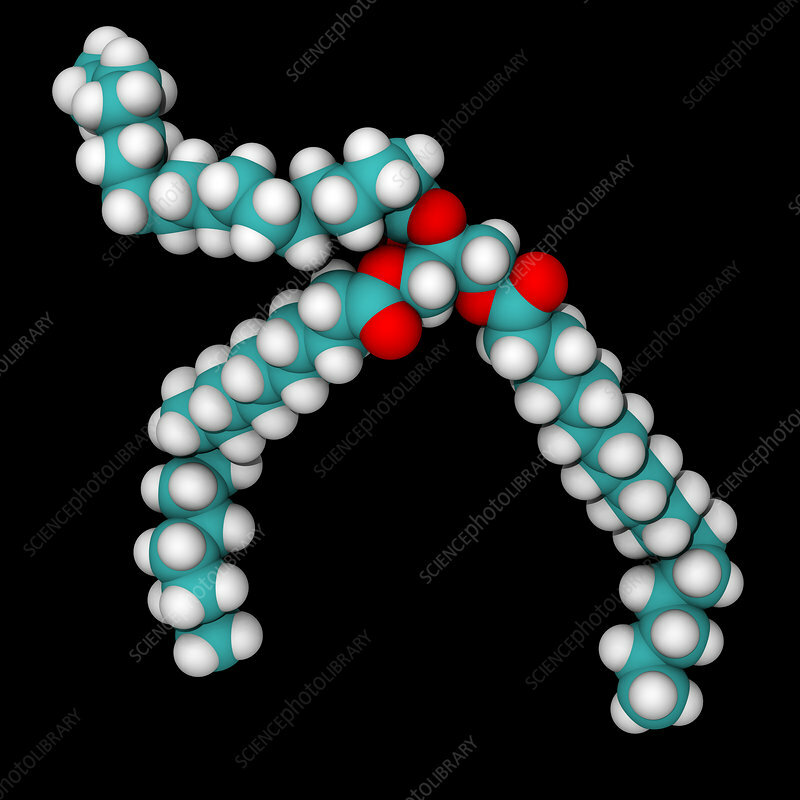 Three-dimensional space-filling model of a typical triglyceride molecule. The chemical formula is RCOO-CH2CH(-OOCR')CH2-OOCR , where R, R', and R are longer alkyl chains. The three fatty acids RCOOH, R'COOH and R COOH can be all different, all the same, or only two the same. Triglycerides are formed from a single molecule of glycerol, combined with three fatty acids on each of the OH groups, and make up most of fats digested by humans In this model, carbon atoms are blue, hydrogens are white and oxygens are red.